India’s fourth largest software firm HCL will invest $1 billion in the next five years to set up new units in Madurai and Tirunelveli. At the Global Investors Meet 2015, HCL founder Shiv Nadar said the company had invested more than Rs 6,000 crore in Tamil Nadu till date and investments here would be a continuous process. HCL has a development centre each in Chennai and Coimbatore. “We will be setting up two more development centres in Madurai and Tirunelveli,” he said. The company would be acquiring more than 60 acres of land in Madurai. The venture is expected to be rolled out in a phased manner. Though HCL 's Hardware division- HCL Infosystems) had a good market presence and earned substantial revenue, both in the private and Government sector they never expanded big, here at Madurai and were under the control of regional office at Trichy. obviously those vested interests at Trichy , scuttled all the expansion plans for Madurai. suddenly with steep erosion of HCL'S marketshare hcl, have put forth a new proposal to set up software development divisions in MADURAI and Tirunelveli. since it (HCL) had already surrendered it's floor space occupancy in the Ilandaikulam and Vadapalaji I.T parks , there are quite some strong reasons to be skeptical about these plans. chances are , it could even be an exclusive development centre , built on its own. nonetheless, Maduraiites wish well to set up its venture soon, do good business and provide jobs to many talented youngsters of this city. Initial report says its Madurai & Nellai; now they are talking about Trichy. Tomorrow, they may take away Madurai! Yes our worst apprehensions are coming true on the development, since Trichy did not find any mention, recently. HCL's development centre planned at Madurai, has little credibility. Whatever little trickling down to Madurai on industries front are snatched away by Trichy, Tirunelveli (Gangaikondan Indsrtl estate has already poached upon Madurai's industries). Even the small town Tuticorin has attracted huge investments, which is indeed much a cause bof concern for us.. so i the inert TNCCI dominated by the foodstuffs mfgrs lobby, should wake up to today's needs concerning Madurai. TVS are also turning away.Bold , indigenous initiatives of Madurai regional industrialists will alone bring back growth, development, employment oppurtunities and prosperity. Important Note : Candidates selected for fresher level career opportunities will have to go through six months training in HCL Madurai center. The training fee shall be borne by the candidate. On successful completion of the training program, candidates will be placed in HCL in Madurai. The training will be provided by HCL Training and Staffing Services arm of HCL. Shortlisted candidates will be called for assessments and counseling. Assistance for loans to pay for the training fee will also be provided on need basis. simply great. eager to see it materialize, soon. btw thanks for this good news please. India’s fourth largest software firm HCL will open a facility in the next two weeks in Madurai. The firm is in the process of recruiting people there. A senior State government official, said, “HCL would be formally opening Madurai soon. The company has been a major investor in the State and has said that they would continue expanding their presence here.” HCL could not be reached for comments. During the Global Investors Meet in September 2015, the IT major had given a commitment that it will invest US $ 1 billion in the next five years to set up units in Madurai and Tirunelveli. The official said several other IT firms were evaluating tier II towns like Madurai. In the last few years, the town emerged as a hub for IT/ITES. ELCOT, a State government promotional agency for IT industries, has Special Economic Zones (SEZs) in Madurai, including a 29-acre zone at IIandaikulam village and a 213-acre SEZ at Vadapalanji village. 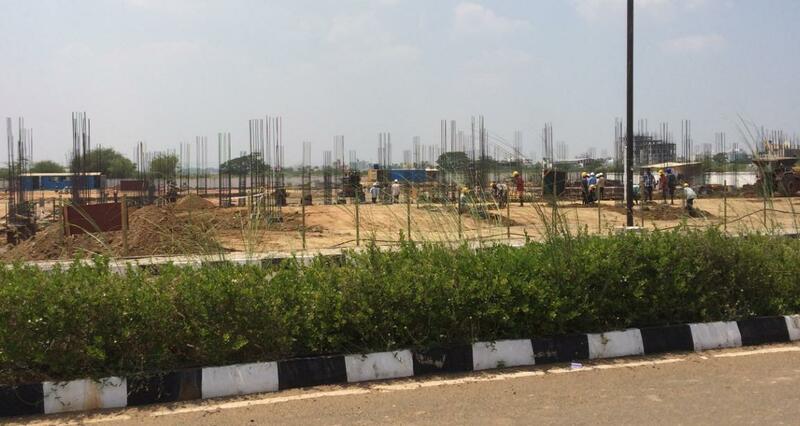 Another SEZ is being developed at Sholankurini. Founded in 1976 as a garage start-up, HCL was the first to introduce the 8-bit microprocessor-based computer in 1978. Currently, the HCL enterprise has four companies - HCL Infosystems, HCL Technologies, HCL Healthcare and HCL TalentCare and employs over 1,10,000 employees across 31 countries generating an annual revenue of over US $ 7 billion. wish a good growth and profitable business for all IT / ITES ventures that are to start their operations from our Madurai. they can rest assured to have a steady, cost-effective , flourishing business , since our city has a vast professional talent pool, that is yet not tapped fully . they'll soon realise the merits of starting and running business at Madurai. Hope HCL move will bring few more entities. Aegis global, the BPO arm of Essar group which was supposed to come up at the Alagiri owned Dhaya cyber park (which went into a lot of issues after government change), went to Sivaganga (a town 40 kms away from Madurai) due to Chidambaram's hijack. They inaugurated their center in 2014, I don't think this was posted in our forum. Though Madurai missed the project, it is well within Madurai region. It was a 250 seater facility with 2 shifts. I went to the Ilandhaikulam ELCOT today and clicked a few pictures. A new company by name 'Neeyamo Enterprise Solutions' has taken space in the 2nd floor and operating with 150 people. 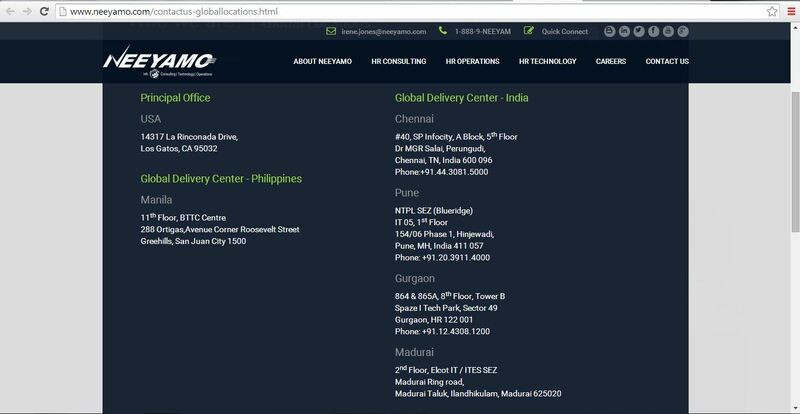 Website of the company showing Madurai address below. Looks like it has operations at Chennai, Pune and Gurgoan. It has started operating 3 months back according to the security personnel and they are hiring now. A glowing signboard showing 'SBL Corp' is there since very long. They are the major occupants of the first floor. I'm seeing this board for the first time now. AMBC Technologies which was one of the early occupants of the ELCOT Building. Honeywell SEZ center (moved operations from Surveyor colony to this SEZ) as a part of its major expansion here. Honeywell has a very valuable presence in aerospace sector in Tamil Nadu. 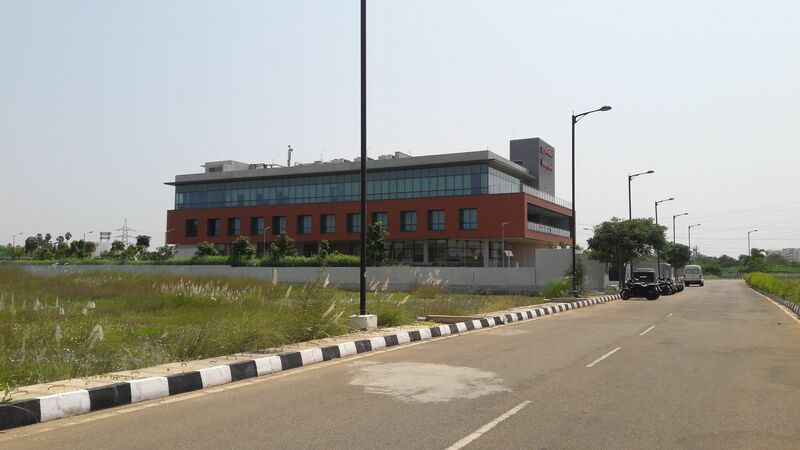 In 2013, Honeywell Technology Solutions Lab Pvt. Ltd, part of Honeywell India had proposed to establish a project for aerospace related Software Development Facility in Madurai, Tamil Nadu. Honeywell India had proposed to establish this project for Software Development Facility for aerospace applications in ELCOT Madurai – Ilandhaikulam IT/ITES SEZ at Madurai. 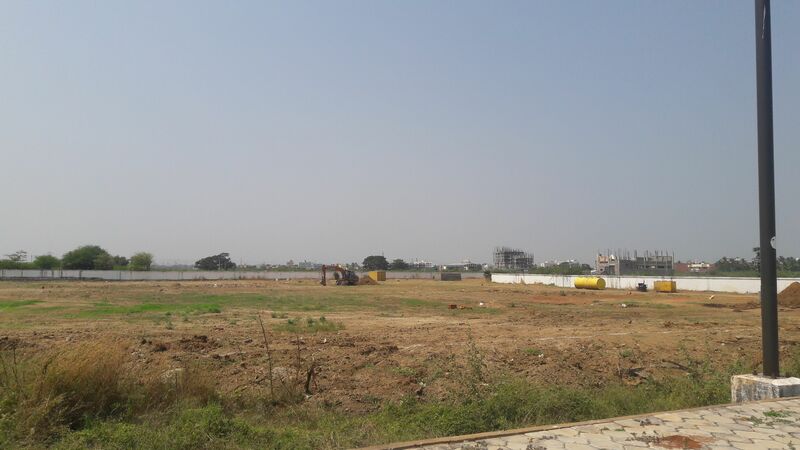 ELCOT allotted 4.50 acres in its IT SEZ at Ilandhaikulam, Madurai. In this, Honeywell constructed a facility with a built-up area of 3984.95 Sq. Metres. Initial investment was Rs.27.2 crores that provided direct employment to 540 persons. Government of Tamil Nadu provided a strong support including fast-track approvals within 2 weeks through Single window facilitation. 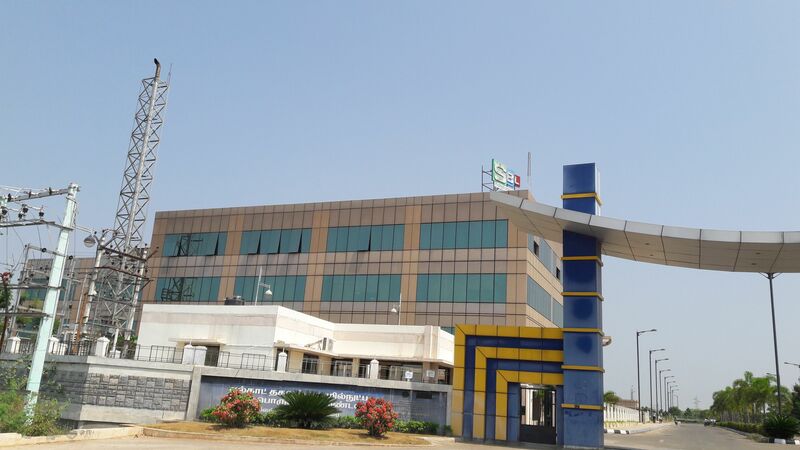 Honeywell chose Madurai in Tamil Nadu due to strong presence of large number of educational institutions including engineering colleges, abundant availability of skilled manpower and harmonious industrial relations, fast track approval under Single window facilitation by Guidance Bureau and above all, strong support from the State Government. Encouraged by the success of this project, Honeywell has now proposed an expansion facility in Madurai. HCL has started clearing the ground for construction to start. They had paved way to facilitate the earth moving and other vehicles to carry construction materials to the site. Also I saw two temporary container like shelters. Looks like construction is all set to begin soon. Hope Chella software too begins constructing their campus at ELCOT 2.25 acres land. HCL Technologies Limited (HCL), which is launching its paid-training programme here with an assurance of job in the company, said that it is aiming to create 3,000 to 4,000 jobs in the next three years in Madurai. In an interaction with media, Srimathi Shivashankar, Associate Vice President with HCL, said that the recruitment would be done only from Madurai and surrounding districts, apart from a few exceptions for senior positions. She said that this was part of the commitment made by HCL during the recent Global Investors’ Meet. “The first training batch commencing on March 4, which is likely to have around 250 trainees, will have people only from Madurai district. In the subsequent batches, we will extend it to nearby places,” she said. She said that the company would also provide job opportunities for those with experience. “Many people working in metro cities want to return closer to their hometowns. There are also women, who might have quit their jobs for family reasons and want to re-start their career again,” she said. HCL said that engineering graduates with specialisation in any streams could apply for the training with no limitation on age. Applicants selected after an interview, which according to Ms. Srimathi, would test their learnability, have to pay Rs. 2 lakh for the six month training programme. First three months of training will be at the HCL Training and Staffing Services (HCL TSS) campus in Madurai and the next three months of on-the-job training will be at the upcoming HCL office inside ELCOT IT Special Economic Zone (SEZ) Park at Ilanthaikulam. “Most people who are applying now are graduates who passed out a couple of years ago but could not find a job,” she said. “Those who clear the training will be placed at Madurai HCL with an initial salary of Rs. 1.54 lakh per annum”, Ms. Srimathi said. On salary being comparatively lesser than metro cities, she said that the cost of living in smaller cities is also relatively low. “Moreover, this is for the entry level. The salary will be increased subsequently,” she said. She said that the recruited people will be involved in IT and IT enabled services, which will mainly include product development and infrastructure management. The construction work is going on in full swing. I guess they work both day and night, two shifts may be. Heard they are planning to finish the construction within six months. Could that be possible? May be they are talking about finishing the construction of ground floor and first floor? Meanwhile, the parcel of land adjacent to Honeywell is being cleared of bushes. Honeywell actually has plans to construct their second campus there. Hope they begin the construction quickly. Fingers crossed!